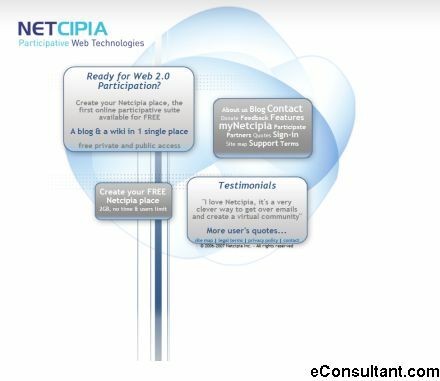 Description : Netcipia specializes in participative web technologies. Netcipia is the first participative suite available on the Internet. For its first beta version, Netcipia gives you both a blog and a wiki in a single package, accessible through the same interface, with the same great tools and features. 2GB of data, 100% free unlimited time.